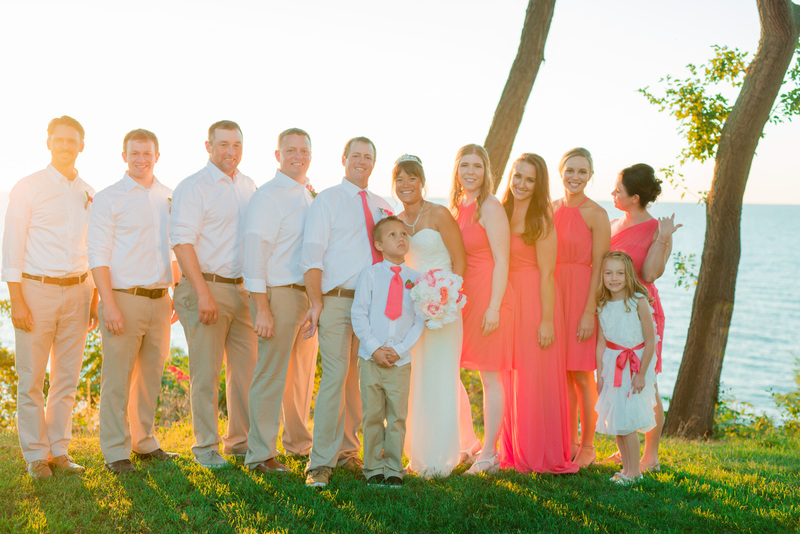 This fun, colorful wedding took place in early September. 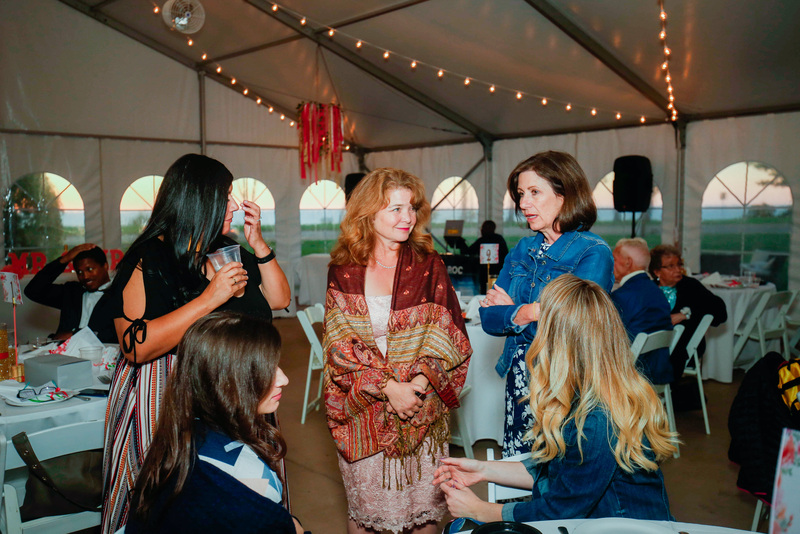 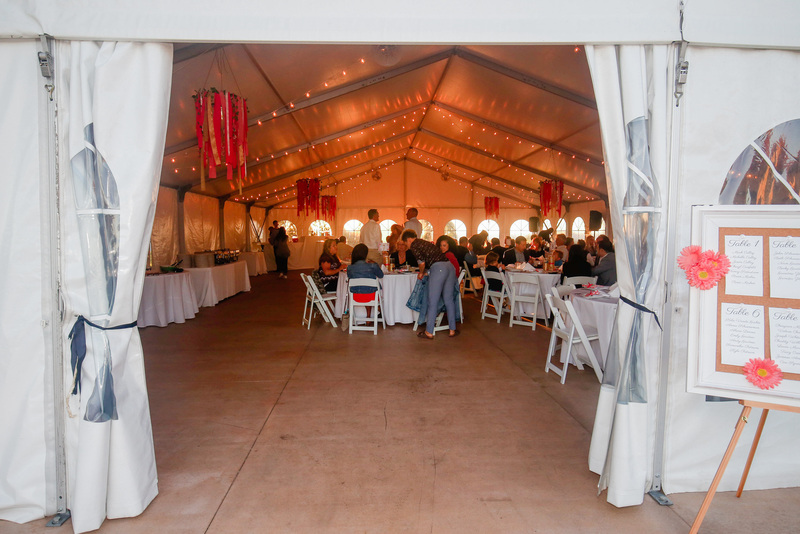 The bride and groom decided to get married at the pavilion downtown overlooking Silver Beach and Lake Michigan then headed just over 2 miles to our tented venue for the reception. 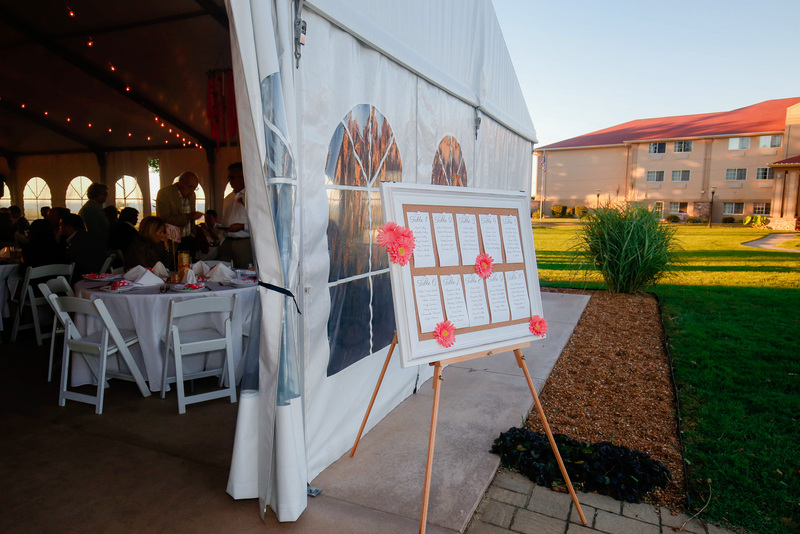 The maid of honor was extremely crafty, and handmade the hanging chandeliers, guest seating board and custom-dyed the guest napkins. 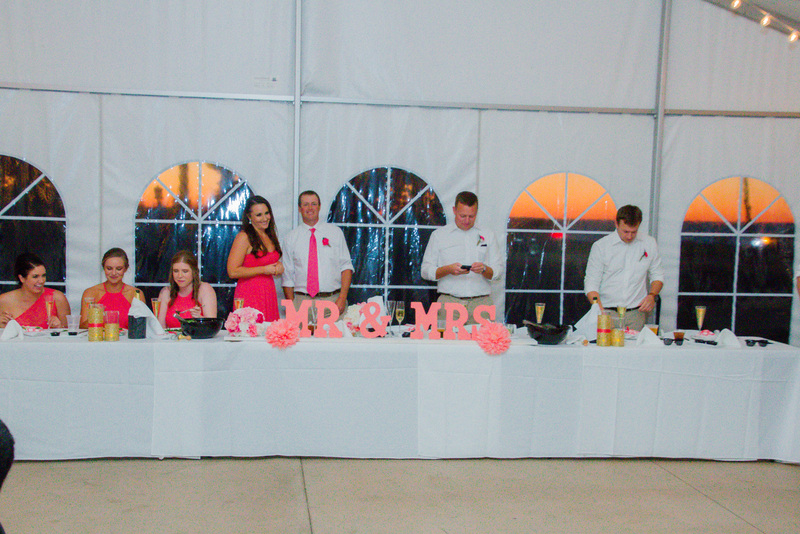 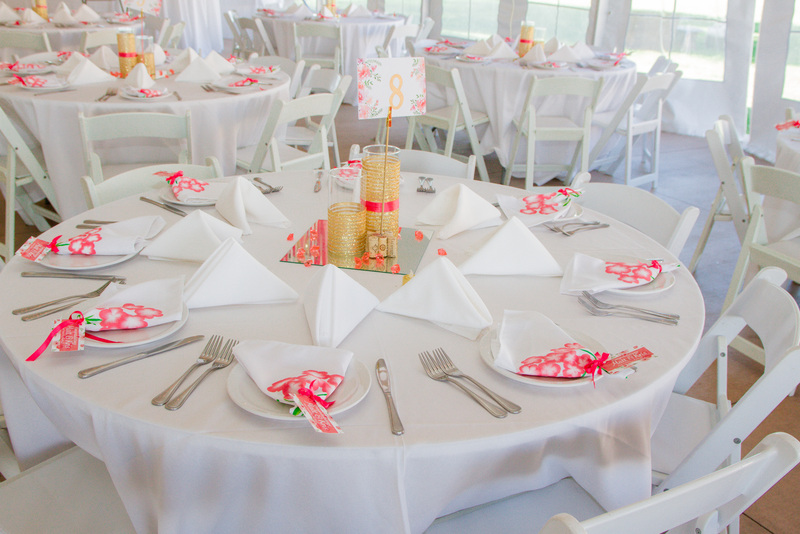 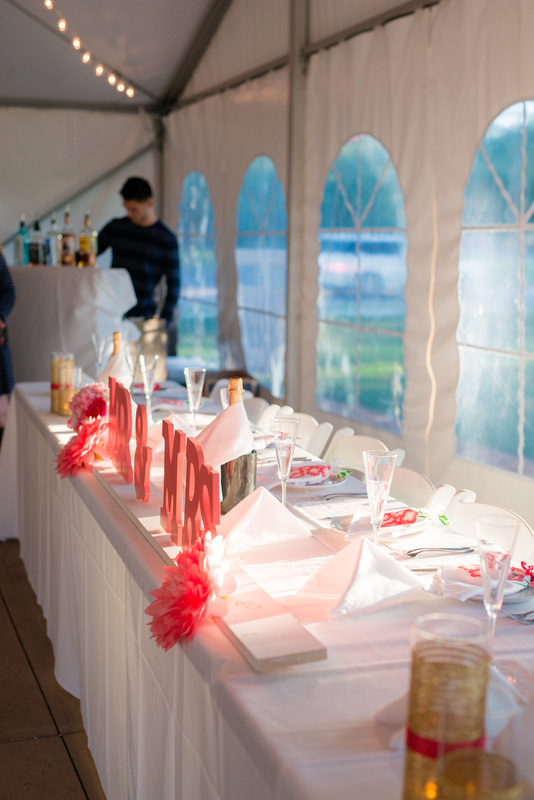 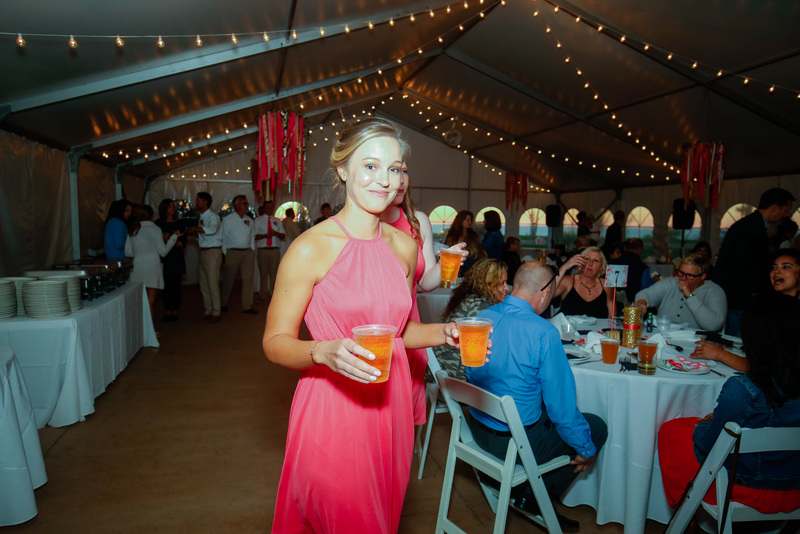 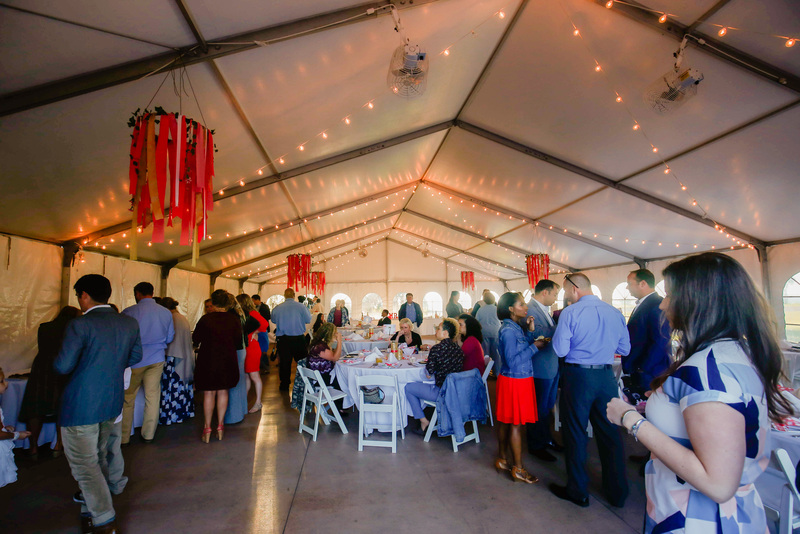 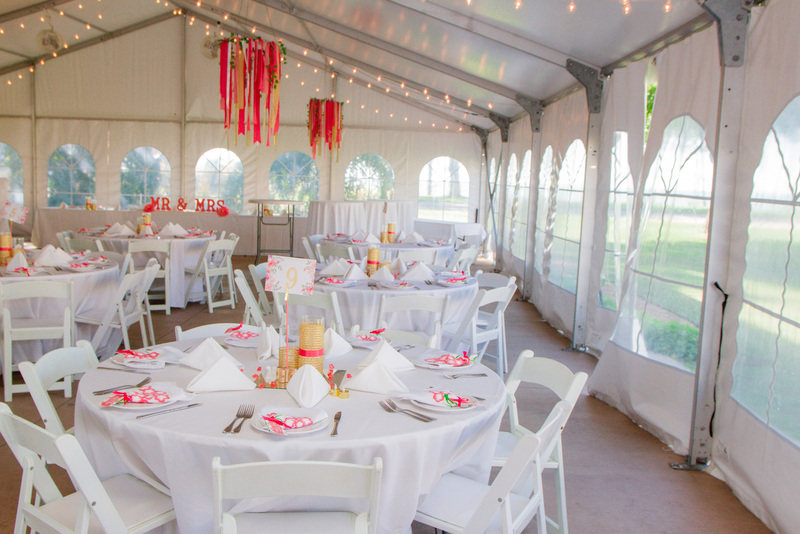 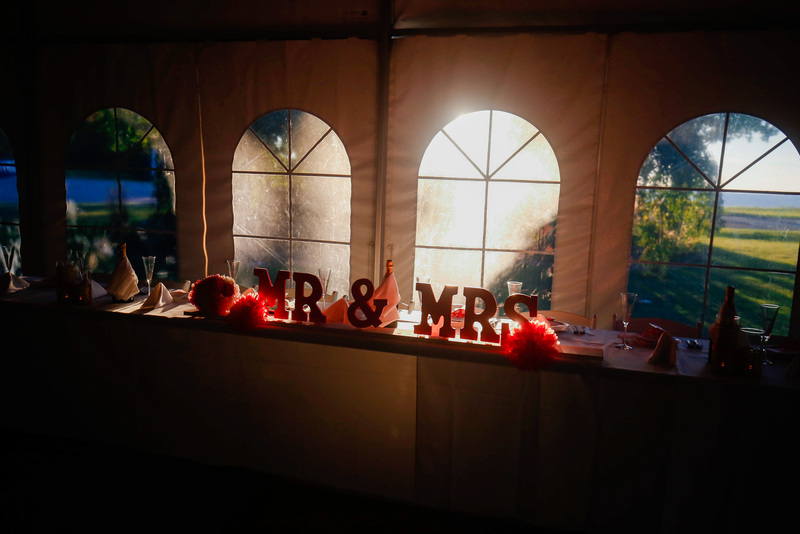 We loved all of the personal touches this couple added and the vibrant colors really popped against the white tent! 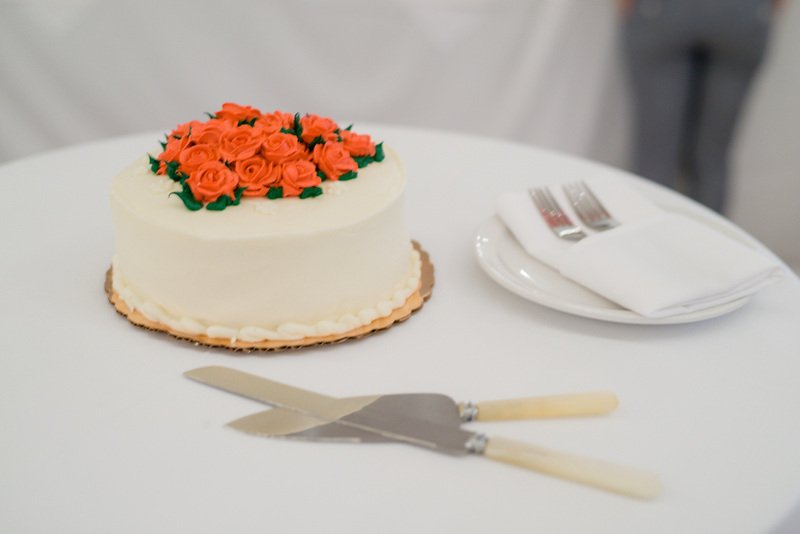 All of these gorgeous photos were shot by Classic Photographers.